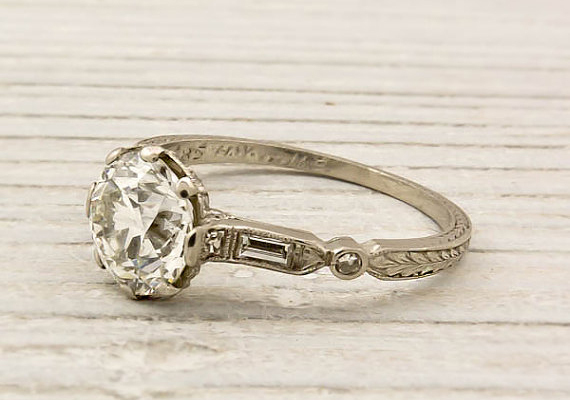 Whether you’re on a budget and can’t afford a new engagement ring, or your girlfriend has a taste for things with history and personality, a vintage engagement ring is for you. 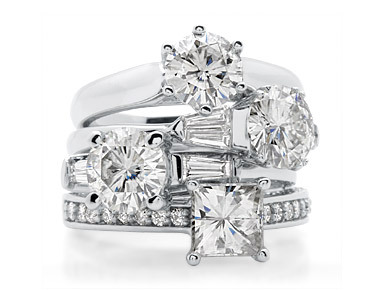 Unfortunately it can be difficult to find an engagement ring if you don’t know where to look. Considering that you most likely want actual vintage rather than just used, you have to be careful about where and how you shop. 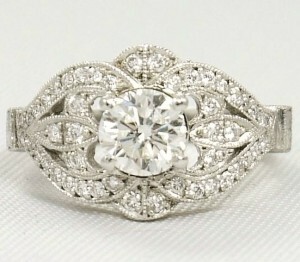 Here are a couple of great places to look for vintage engagement rings. While you might have to pay higher prices than you would at some other venues, the pawnshop is most likely to have a few older rings. Typically pawn shop owners ask for history when they buy something so you will be able to get the scoop on it before purchasing. The downside is that the ring was most likely sold because someone needed money rather than that they just didn’t want it anymore. Flea Markets present a risky but great place to find vintage engagement rings because many people simply do not know what they are selling. Some sellers might list a 20 year old ring as vintage, while others might list their grandmothers estate ring for $20 simply because they don’t know what it is. Digging through boxes of junk jewelry can turn up a lot of treasures, but you have to be able to recognize the real thing when you see it. 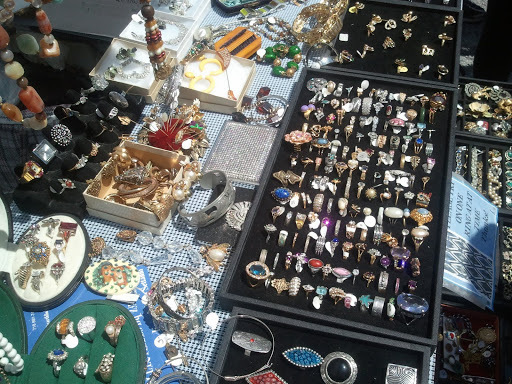 Alternately, you can head to jewelry sellers at flea markets and look through cases of rings where you will pay a higher price, but have an easier time of finding something. 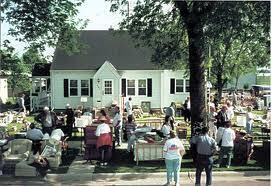 If you have the time or the money to go to estate auctions then they could quite literally be a godsend. 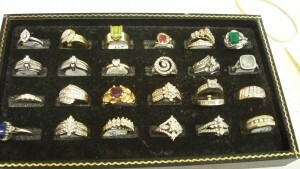 Estate auctions typically sell of large amounts of jewelry including heirloom rings that would make perfect engagement rings. 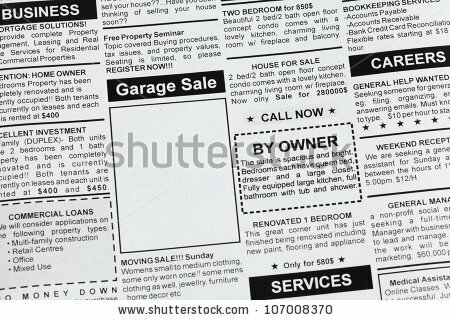 You can usually find estate auctions advertised in local newspapers, check in the same place to see what is for sale, and then visit the auction to see what jewelry they have. The downside is that this can be quite time consuming if you don’t find anything right away. Almost every city has at least one auction house and you can find a remarkable amount of jewelry by visiting one. Most of the time auctions are held on Saturday’s or Fridays but you can call in to see what days the auctions are on, and usually even ask someone if they have wedding or engagement rings up for auction. If you get a yes, it’s a simple matter of driving over on the right day, taking a look, and then bidding on whatever you are interested in. While you are more likely to pay top dollar on Etsy, you can expect to see a range of very nice vintage engagement rings. Etsy is home to a lot of crafts sales, but also vintage and actual antiques listed by people who know what they are. Consider browsing around and if you see something, pay close attention the specifications for age, quality, and stone. There are antiques shops everywhere and most of them have at least one jewelry counter with jewelry ranging from 10 to a few hundred years old. 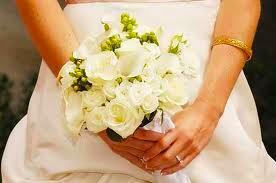 Visiting one is an easy way to pick up a ring because most of them will have at least a dozen older rings. Unfortunately you can expect to pay the maximum allowable for the market for most of these, because Antiques shops value the age as well as the ring. If you’re looking for a large selection of vintage rings at a lower price, then eBay is your go-to spot. 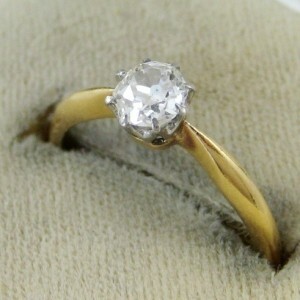 However, you cannot verify the ring before you buy, but you can trust that eBay has very good seller protection. eBay organizes vintage and antique rings by period, metal, and more, and you can search based on price, seller, and shipping cost. 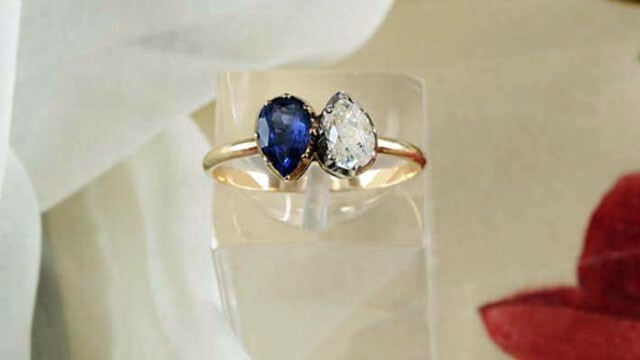 As one of the largest antiques stores out there, Laurelle Antique is definitely a great place to find vintage wedding jewelry. 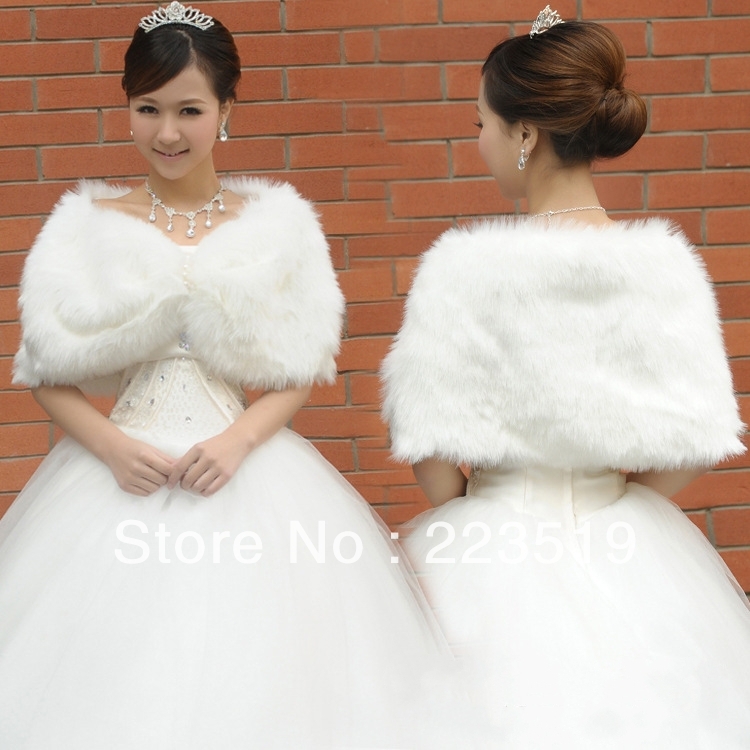 The site specializes in vintage and antiques and literally has thousands of items to choose from. If you’re on a budget this is the wrong place to look, but otherwise you’re in the right place. 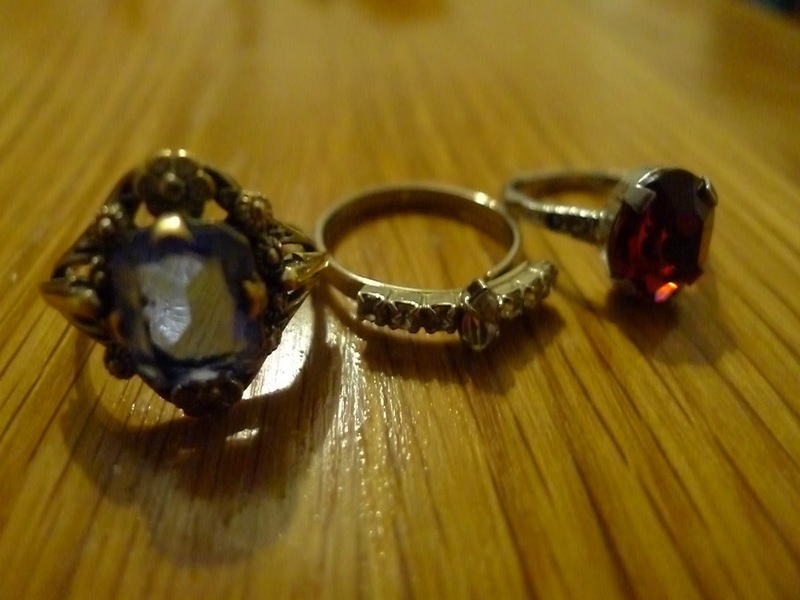 Some of the oldest pieces on this site are in excess of 400 years old, so you can find some very unique rings on the site. 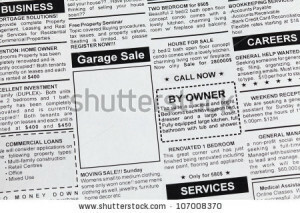 One thing that a lot of people discount when looking for vintage rings is the newspaper. While most people won’t advertise a wedding ring for sale, you can use the newspaper to find everything from vintage stores and antiques shops in the area to local auctions and estate sales. 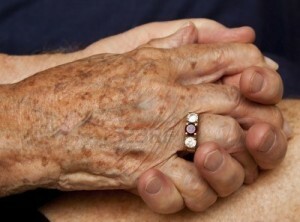 Another thing you shouldn’t discount is that your parents and grandparents may be willing to lend you their wedding ring. 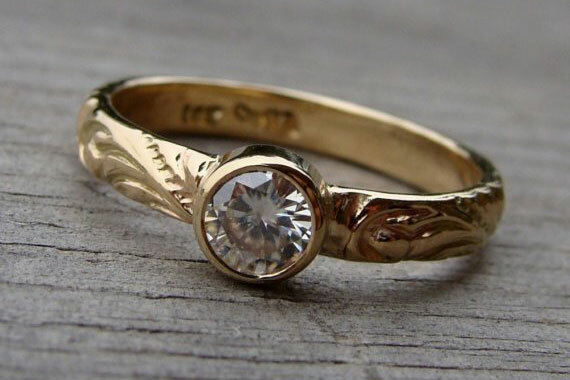 In fact, if you ask your grandparents and they don’t feel like giving up their engagement ring, they might actually have your great grandparents ring for you. If you like this idea, don’t be afraid to ask, because many families keep rings in the family for generations, even if no one is using them.